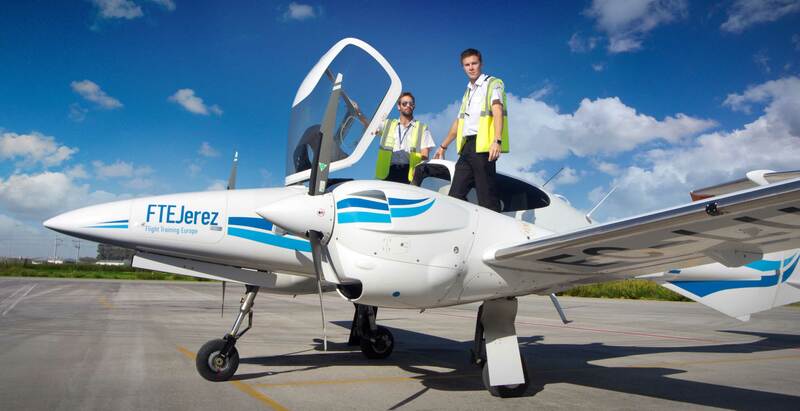 FTEJerez has announced a new fully-funded flight instructor programme called the FI Career Development programme (FICD). It’s available to EU candidates who hold a current EASA CPL and Class 1 medical. Successful applicants will be offered an FI course leading to an FI rating, with all training and accommodation costs covered by FTEJerez and deductible from salary through a three-year reducing bond. On completion of the FI rating the selected candidates will go straight into a full-time position as an FTEJerez flight instructor (single engine) on the same pay scale and benefits as standard FTEJerez entry-level single engine FIs. Oscar Sordo, FTEJerez CEO, said, “At FTEJerez our mission is to provide the industry with motivated and well-trained future airline captains. To achieve this, FTEJerez requires a team of skilled professionals that can train cadets to the exacting standards the airlines demand. “The FICD is designed to select and develop candidates with the potential to become FTEJerez flight instructors, whilst also being a fantastic opportunity for them to start and accelerate a career in commercial aviation”. The application window for the FICD Programme is currently open here. Following submission of the application, suitable candidates will progress to an interview stage and finally, those successful will commence an FI rating course either at FTEJerez or with a selected training partner in the UK, in summer 2018.